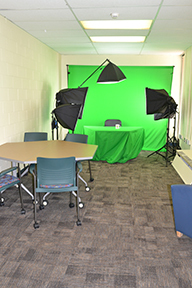 So What is the FSRC? 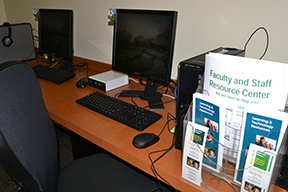 We are the Faculty and Staff Resource Center at NOVA’s Annandale campus. 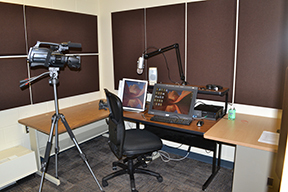 The Faculty and Staff Resource Center assists faculty and staff in the development of classroom instructional materials, presentations, online courses, hybrid courses and websites. 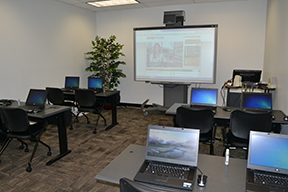 We offer professional development classes covering many areas of technology, including Microsoft Office, Blackboard, WordPress and Smartboard interactive whiteboards. 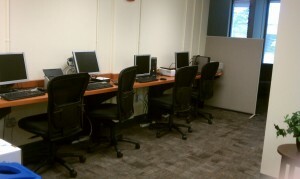 The FSRC also offers assistance with computer hardware, software and special desktop publishing projects. We have eight computer workstations, outfitted with scanners, printers, memory card readers and CD/DVD burners available for use Monday – Friday, from 8:30 a.m. – 5:00 p.m. Come visit us in CG (Godwin) 206!